Paul has been the Artistic Director of SOOP Theatre Company since its inception in 1998. In addition to being Theatre Director for Salesian High School (Nominee – Outstanding Director – 2011 Metropolitan HS Theatre Awards) from 2008 – 2012, Paul has directed, coached and taught extensively throughout NYC and Westchester in such venues as the Hoff-Barthelson Music School, Peter Jay Sharp theatre, Tres Artis, Metropolitan Playhouse and the Neighborhood Playhouse, where he had the privilege of directing playwright Bruce Jay Friedman’s A New Bit (formerly 23 Pat O’Brien Movies). 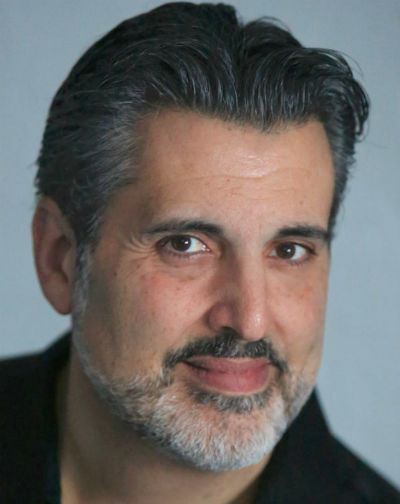 As an actor, his past credits include God Of Carnage, Jesus Christ Superstar and Amadeus (SOOP Acting Company), 70/70 Horovitz (Theater for the New City), The Exciting Life (Altered Stages), Atrain (Re)Plays (Peter Jay Sharp Theatre), Atrain Plays (NYMF/Neighborhood Playhouse), Suspense (Vital Theatre Co.), Italian American Cantos (June Havoc Theatre), Bel Canto (Metropolitan Playhouse), Italian American Reconciliation (Seven Angels Theatre, Ct.) and the Israel Horovitz world premiere 2nd Violin at the Boston Theatre Festival. Paul was recently nominated for two NYAAs for his direction of SOOP’s critically acclaimed MARY POPPINS and GODSPELL. Other credits include: Murder In Swingland (Westchester Broadway Theatre) and the films The Jerky Boys and Endangered. Paul lives in Pelham Manor with his family.